I have gathered all the answers, opinions, and comments on the Overwatch lore shared by the game developers on various forums. They cover many aspects of the game and are organized in sections depending on the topic. Honestly, I had a lot of fun while digging the Blizzard forum and their social accounts as they give insights on questions that are not explained accurately elsewhere. When not stated otherwise, the man behind the quotes is Michael Chu, Overwatch lead writer. Give him a follow :P! Definitely open to making references to gameplay mechanic changes in the story, but it really depends on the example. I still believe that Hanzo’s carrying that scatter arrow around in his quiver though! Small anecdote: when we reworked Bastion to include a passive damage resistance skill, I named the skill “Ironclad” to hint at Bastion’s (at the time unreleased) encounter with Torbjörn in the comic, Binary, as he’d be the one responsible for giving Bastion its new defenses! The battle between Doomfist and the Overwatch team (Tracer, Winston, Genji) in the animated piece took place in the past before Overwatch was shut down. In Overwatch, omnic and robot are just about interchangeable as colloquial terms (it's the equivalent of Kleenex vs. tissue paper). In this sense, people would refer to Orisa as an omnic (as they would for Zenyatta and Bastion), particularly because the model she is based on (the OR14) was originally created prior to and during the Omnic Crisis. But people would also be correct in referring to her as a robot. Orisa is not a drone, as she possesses a complex artificial intelligence. However, at this point in her career, she's still just starting out, so she has a long way to grow as she learns more about herself and the world around her. She used her popularity and reputation after becoming the champion of the Scrapyard to take over as the leader of Junkertown. Generally the mechs are built out of stuff that is in Junkertown and surrounding environs. In Wrecking Ball’s case, it’s scavenged parts that were built around Hammond’s makeshift lunar escape pod (as you can see in his origin story movie). Getting these little details correct is important to us, so I did a quick check with our localization team, using the term “Calle” is a Venice-specific thing and appropriate for a small street. For now we like the airport the way it is, showing more of the story of Doomfist and Orisa's origins, rather than the pristine airport (pretty as it was!) when the map first launched. You're escorting famous (infamous?) omnic film director/writer/producer extraordinaire, HAL-Fred Glitchbot (They Came From Beyond the Moon, Six-Gun Killer, Junkenstein, etc.). He's been targeted by anti-omnic groups as part of the greater conflict between humans and omnics throughout the world (the assassination of Mondatta in London and the crisis in Russia, among others). The armor on the throne belongs to Balderich von Adler, the commander of Germany's Crusader unit during the Omnic Crisis (and Reinhardt's boss). In the video below, Michael Chu reveals the backstories of every Overwatch hero. Are McCree and Ashe Dating? Are they former lovers? They're not dating, nor did they date in the past. They’re part of the Korean army, but their direct commanding officer is Captain Myung (she doesn’t go out on missions, she manages them from the base). Myung is the voice you hear over the intercom on the MEKA Base point of the Busan map. Not sisters, but they were in the same esports team before joining MEKA (which is why they have similar handles). Dae-hyun works primarily as a mechanic on the mechs (specifically on Tokki–D.Va’s mech). There are other mechanics who help to maintain the different mechs and have other responsibilities around the base. It's a common misconception, but D.Va wasn't a StarCraft pro before joining MEKA. Going back to when we announced D.Va as a hero, we had been experimenting with using different methods of teasing new characters. We thought it'd be fun to use the StarCraft WCS site and slip D.Va in as she had a background as a pro gamer (this all happened before she was officially announced). At the time, I actually worried that it would be taken as canon, but I was hoping elements like the fact her preferred race was listed as "random" and the fact she couldn't have competed in the current series would help defray that. In hindsight, yeah... pretty confusing. D.Va is absolutely a world champion professional gamer which was what got her recruited into MEKA in the first place. However her best game wasn't StarCraft (which was what I was attempting to clarify). We imagined that she was most known and specialized in a game with a skillset that was closer mapped to the skills that she (and the other MEKA pilots) utilized while piloting their mechs. That said, D.Va has definitely played more than her fair share of StarCraft (as she references in some of her lines in Overwatch) and a slew of other games. Bonus fact: StarCraft is one of D.Va's father's favorite games! And he was pretty good at it. Ultimately, I totally recognize that with the way we initially teased D.Va and since we didn't specifically say otherwise in her official backstory, the distinction was pretty unclear. When we were working on the announcement cinematic for Overwatch we did a little bit of development on Doomfist (concepting his fist and Arnold Tsang, our assistant art director, even did a quick concept of what the character might look like). It quickly became apparent that people were really interested in Doomfist and really wanted to see him as a hero in the game. We agreed! Arnold did another version of the concept (pretty much the one that we ultimately built) near the end of development when we were finalizing the roster of heroes for the game at release. Doomfist, unfortunately, did not make the cut, but by then we were committed to making him. Before that, we decided that we wanted to add another tank hero to the game. Because we like having heroes whose stories are related to other heroes in the game, we came up with the idea for Orisa as someone who would relate to the story of Doomfist. So her story wasn't changed so much, as always intended to be related to Doomfist's. This is just a quick version of the story of Doomfist's development (which we talked about in detail at San Diego Comic-Con last week), but I hope it helps shed some light on your question! We made a list that had two columns: first names and last names, and then tried putting them together to make the Ultimate Cowboy Name. During this time, we’d been joking that the name of one of the designers at Blizzard, Jesse McCree, would be pretty good too. Ultimately none of the names we came up with worked better than Jesse McCree, so we took his name away from him. (His name’s not Joel). Mei's age on the website (31) is her apparent/biological age, not chronological. It does not include the amount of time she spent in cryostasis. Tracer and Mercy are neither immortal nor effectively immortal. Tracer and Mercy both age. Neither of them were founding members of Overwatch (though Mercy joined earlier than Tracer). While Mercy is extremely intelligent and completed her education at a younger age (and in a shorter amount of time than usual), she definitely did not join Overwatch at age 17. It's up to your own interpretation but one thing I'd mention is that Moira is much more interested in the pursuit of scientific knowledge purely for the sake of understanding. She's less interested in the practical applications that derive from her discoveries: she is driven to know how things work. That said, she has different ideas than most scientists about what constitutes acceptable research methodology. Age was definitely not the reason that Pharah wasn't offered Overwatch membership before it was shut down. 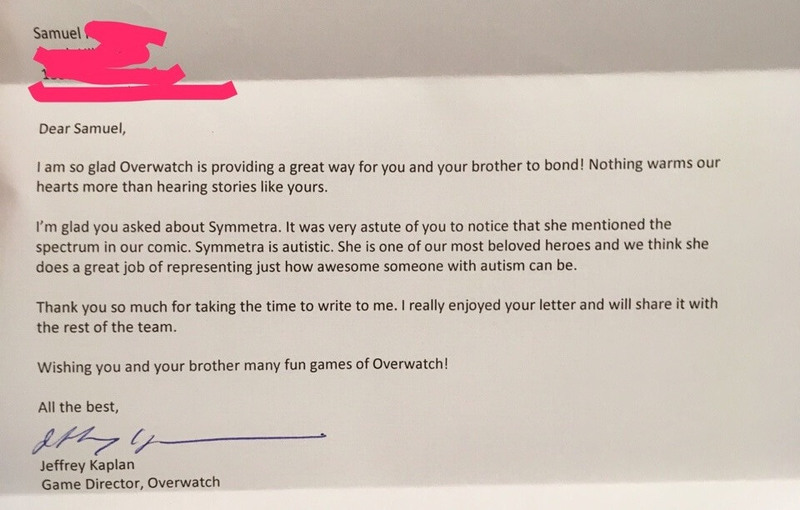 As people have mentioned in the thread, Overwatch was more than willing to bring on talented people, regardless of their age. In-universe, the identity of Pharah's father is not considered to be a secret (Pharah knows who her father is). However, we haven't revealed it in the game or any of the related comics or animated shorts (or anywhere else outside of game). When a story or opportunity where it feels appropriate or natural for it to be addressed, you'll get the answer. Until then, feel free to speculate away! So far: Ana and Jack (when they encountered him in Old Soldiers) and Sombra (because she Knows Things). Even with everything that's happened to Reyes, Ana and Jack would be able to recognize him immediately, given all their close experience serving together over the years. Tracer was not a founding member of Overwatch (she didn't fight in the Omnic Crisis). Vialli is dead. (He's the one that Doomfist threw over the railing in Masquerade.). Los Muertos doesn't organizationally hate omnics (like, it's not in their mission statement), but that doesn't mean a member of Los Muertos (or a bunch of them) couldn't beat one up or dislike them for any number of reasons. "God program" is more of a colloquial term describing Anubis than a designation for a class of AIs. Binary takes place after Reflections. The game takes place around 60 years in the future. The Omnic Crisis was about 25 years before that. (Give or take a few years.). The Korean army and MEKA don’t have a lot of solid intelligence and information about the gwishin (capabilities, specific location, or schedule), which contributes to the massive threat. A list of the official heights and ages of all Overwatch heroes. Blizzard revealed all the info in the characters' lore, reference kits, or during events.